Virtually every modern business, big and small, is heavily reliant on its IT systems. This is no bad thing – computers open up possibilities our grandparents’ businesses never dreamed of – but it does mean that it is absolutely vital to have a reliable IT system that meets your needs and is properly maintained. In most cases, it is no exaggeration to say that your business depends on it, and having this sorted is one of the best ways to keep your business thriving and growing. 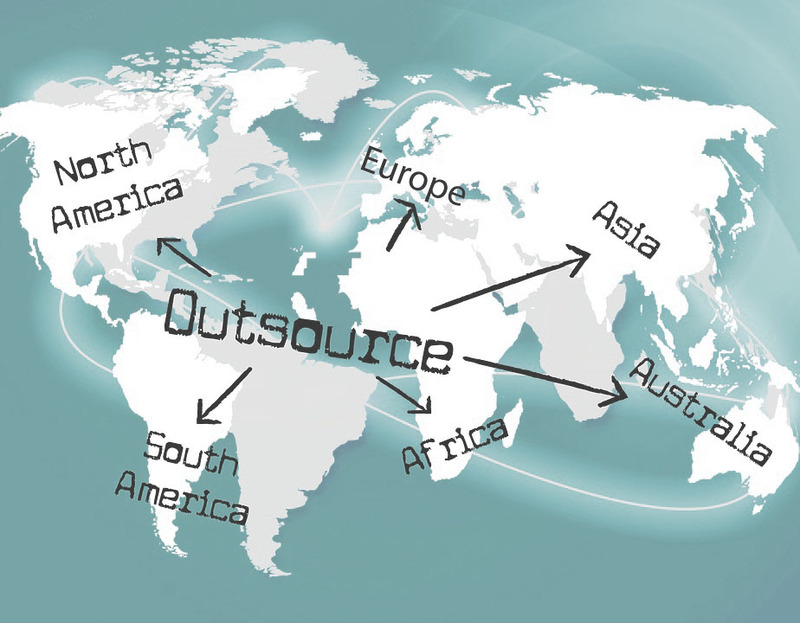 For many small and medium-sized businesses, the best way to achieve this will be through IT outsourcing. While not exactly strangers to outsourcing, big businesses also have the option to cultivate their own in-house IT departments, with permanent, full-time staff devoting themselves to the upkeep, maintenance, and improvement of all IT systems. Naturally, the cost of this prohibits small businesses from following suit, but even leaving the financial burden aside this is just a lot more than most small businesses need. Smaller and even medium-sized enterprises just don’t have the kind of IT infrastructure that needs a dedicated, full-time department – but they do need an immediate response when problems arise and that creates a conundrum. IT outsourcing is a complete and rounded solution to this complex situation. It gives businesses cost-effective access to a complete team of IT professionals. And it also gives businesses access to a full team of talented IT professionals in a cost-effective way and without the need to find space for that team in-house or handle the administrative burden of taking on extra members of staff. You pay for the amount of service you use, and have the freedom to access a larger or smaller team according to the demands of each project. This combination of lower costs, high quality, and plenty of flexibility creates a perfect structure to support IT-driven growth in your business. Essentially any kind of IT service can potentially be outsourced to an external provider. At a lower level, you can have either an ongoing or ad-hoc arrangement with a support service to fix problems and keep you covered in case of an emergency, and generally have your ongoing maintenance and support needs covered. Alternatively, you can have much more comprehensive and specialist work dealt with through IT outsourcing. With the right service provider, skilled tasks such as developing custom in-house software systems, or app development either for employee use or the consumer market are all things that a business can confidently outsource to the right IT specialist. Outsourcing is a fantastic way to facilitate business growth through quality products, lower-costs, and, by leaving the IT work to specialists, fewer and leaner in-house processes to manage. However, in order to enjoy these great benefits outsourcing has to be approached in the right way and you have to choose the right provider. Many businesses have bad experiences with outsourcing their IT and development needs because of common yet avoidable mistakes. For example, outsourcing is already inherently a money-saver for most small and medium-sized businesses, so heading straight to the lowest bidder is not always a good idea. Rather, you should ensure that your chosen provider has the right set of skills for your specific project, and at the level that the work requires. Unfortunately this can be hard for non-specialists to gauge. So the best way to avoid mistakes might be to turn to a service like Yeeply for help. Yeeply is a business that will look over the needs of your project in detail. And then hand-pick developers from a large and varied pool of certified talent to ensure the best fit and the best quality. Yeeply will then act as your direct provider, facilitating effective communication between your business and those developers. How Important is Geo-location in Mobile App Development?